Some stories are part of legends and some stories are ‘Legendary.’ While I dawn upon a realization that most journeys have that one story, one place, one person, one experience that gets etched into memories of the travelers, there are stories that remind you that there are places that are etched in History and more importantly a passion that is driven by the stories of our past. 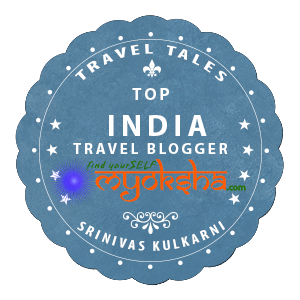 One such story was when I took a journey across Rajasthan and Agra about five years ago and stumbled upon this place via Bharatpur en route Agra. While we were on a traveling spree and covering city after city trying to experience the ruggedness and rustic nature of wonderful structures, cultural heritage and beautiful serenity of the magical monuments across India during the World Heritage Week in 2009 we were blinded by the magnanimous structure of the ‘Buland Darwaza’ on the outskirts of Bharatpur in a place called Fatehpur Sikri on our way to Agra. ‘Fateh’ stands for Victory and ‘Buland’ stands for powerful, stentorian and it is not just mere irony that this Indian Monument from the Mughal era was supposed to be built in this place. This Darwaza (gate/door) was constructed by built by the great Mughal emperor, Akbar in 1601 A.D. at Fatehpur Sikri. As we passed across the beautiful and green road structures on our way to reach the Buland Darwaza, as soon as we witnessed the huge structure, it made for an awe inspiring look on our faces only to realize that the structure had more to it. While you approach it closely and realize the marvel of the sculptures and inscriptions on the gate, you realize that this is sheer art created from a marvel back in the 16th Century. Akbar built the Buland Darwaza to commemorate his victory over Gujarat, there is some folklore which has a lot more to speak about this monument. Two things that you will only get to know when you go there. 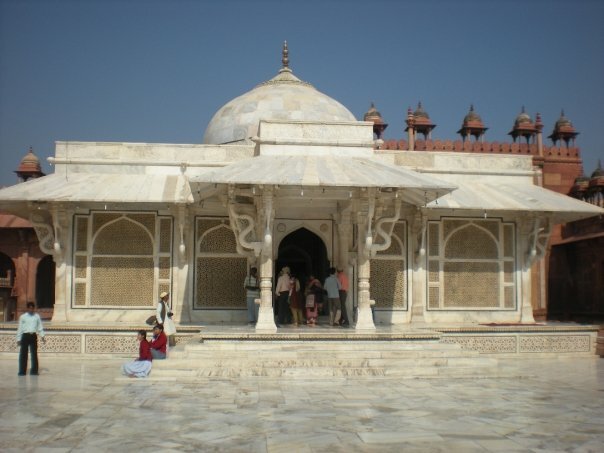 There is a Dargah inside the Buland Darwaza outside of which, you’ll find multiple graves of the Salim Chisti Dyansty. Even today his descendants reside within the complex and Dargah area, and whoever dies will be buried within those confines. It was believed that Salim Chisti already lived in the area where the Buland Darwaza stands today. Before it was built, it was nothing but barren land in the woods where the holy prophet practiced his religion. The Mughal Emperor Akbar, is believed to have consulted him because his wife was unable to give birth to a child. 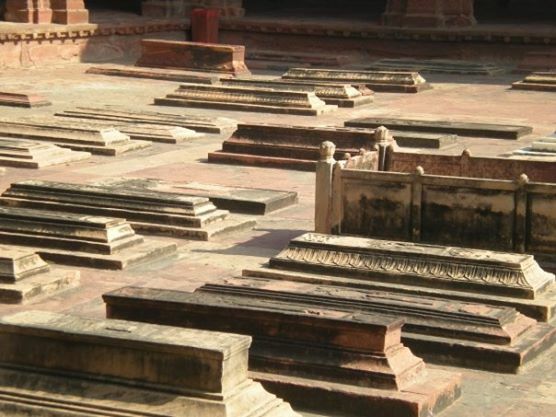 After which, Akbar’s wife gave birth to a baby boy Nur-ud-din Mohammad Salim, at Fatehpur Sikri. He is also known by his imperial name Jahangir (30 August 1569 – 8 November 1627), was the fourth Mughal Emperor who ruled from 1605 until his death in 1627. And of course, no wonder he was named Salim, after this holy man Salim Chisti. Another interesting thing about this place is a underground subway, which is now closed, however in those days, it was a direct passageway to Emperror Akbar’s Fort in Agra, now known as the Agra Fort! This was built for a safe passage as well as convenience if ever Akbar wanted to consult with Salim Chisti, who he highly regarded. What marvels of ancient archaeology, I must say. The entire sight is plain beauty and while you’re there, you must marvel and admire the beauty of the ancient Mughal architecture and of course look around and speak to a few locals who’ll give you some inside stories of this place. And no wonder it’s called Buland Darwaza, for truly it is sheer Magnanimity and Fortitude in its elements! This entry was posted in North and tagged Agra, Agra Fort, Akbar, Bharatpur, Fatehpur Sikri, Heritage, Incredible India, India, Salim Chisti, Taj Mahal, World Heritage on May 31, 2014 by srinistuff. This entry was posted in North and tagged Akbar, Humayun, Incredible India, India, IndiamIke, love, Mumtaz, Salim, Salim Chisti, Shahajahan, Taj, Taj Mahal, The Taj Mahal, Travel, Travel Photography, Travelogue, Wonder of the World on March 8, 2010 by srinistuff.